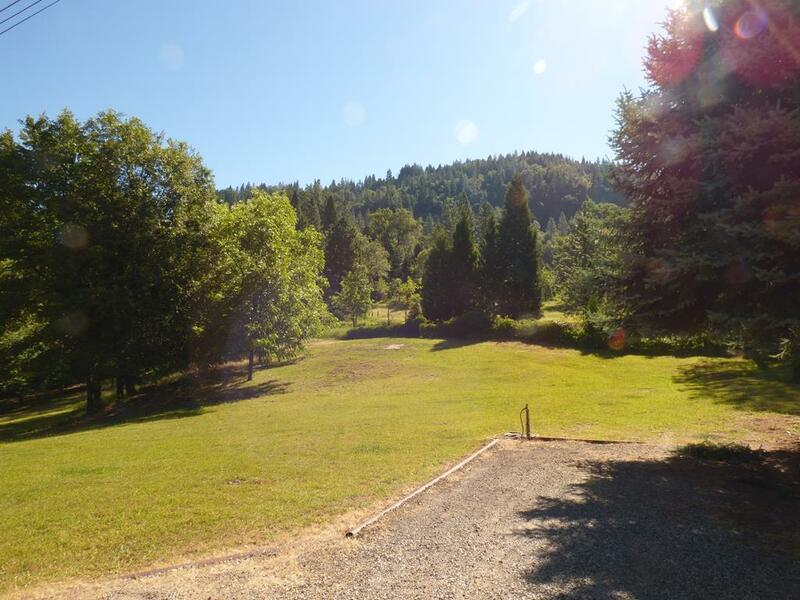 Location: The Ranch is located along Cove Rd approximately 3 miles north of the community of Montgomery Creek in central Shasta County. Access is from Hwy 299e. Description: This ranch is irregular in shape, and has Cove Rd running through it and has Cove Rd as its boundary in some places. The ranch consists of lots tree cover including Pine, Cedar, Dogwood, Maple, Ash, and Fruit trees. About 60-70 acres have been irrigated in the past. 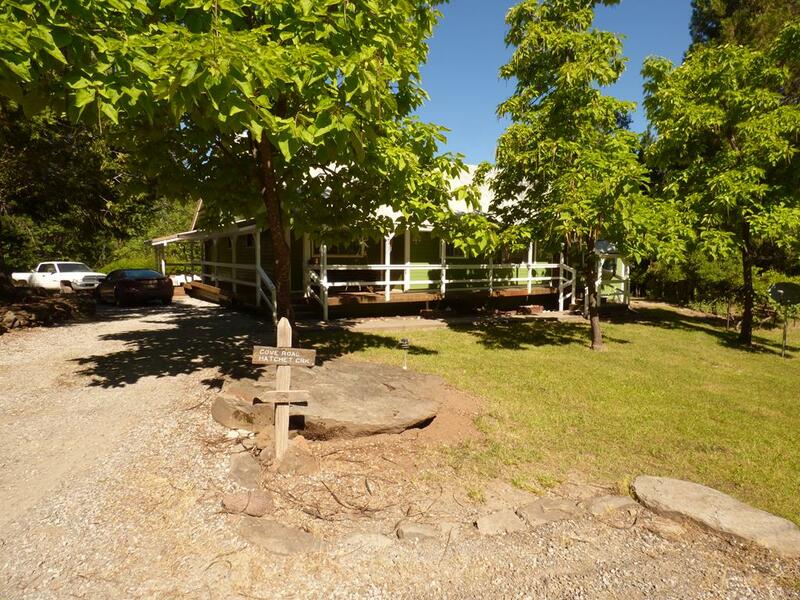 The property has Four springs, a pond, and Hatchet Creek bisects the property and supply’s additional water. Cove ranch has two stick built houses, one of which is in need of additional work to be inhabitable and a double wide mobile home in excellent condition. 1. The primary residence consist of 2,269 sq. ft. 3 bedroom 2bath house with living room, family room, dining room, kitchen, and utility room. There is a 450 sq ft deck around the house. Heat is supplied by a wood fired 400 gallon boiler that sends hot water to radiators throughout the house. To cool in the summer cold water from the springs is circulated through the same radiators. There is a backup central heat system, but it is not used. House was built in 1983. 2. 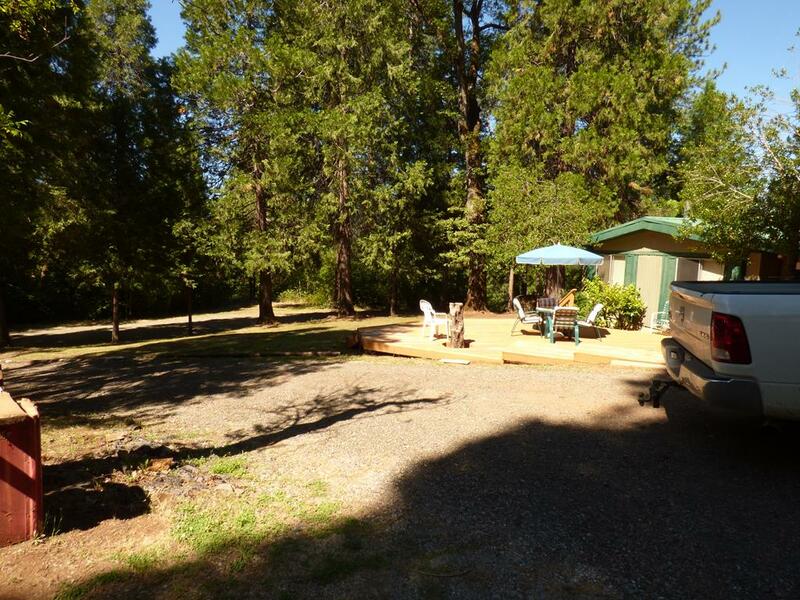 The original residence is a 1950’s cabin, 1,745 Sq ft with 3 bedrooms, and one and half bath. This house is in the process of being remodeled and needs more work to be inhabitable. It has a porch with a channel of spring water flowing through it. It could be made into a very desirable site. 3. The third residence is a 24×40 double wide Mobil home. With a 9×36 stick built porch/mud room added on. This is a two bed two bath home in good shape. 4. 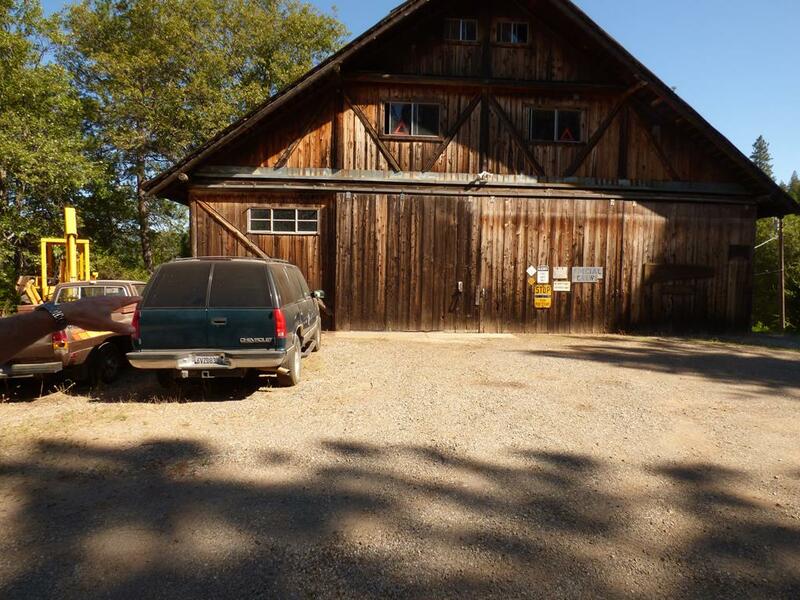 The Cove ranch has three story 36×50 barn and shop built in 1972. Interior walls are pecky cedar. Interior stairs access the second and third floor of this barn/shop. Roof is metal and it is located adjoining the primary residence. 5. North of the Mobile home is a 36×75 foot shop / storage building. The building has an addition of 36×16 that increases the size of this building to 3,276 sq. ft. under roof. Built in 1950. 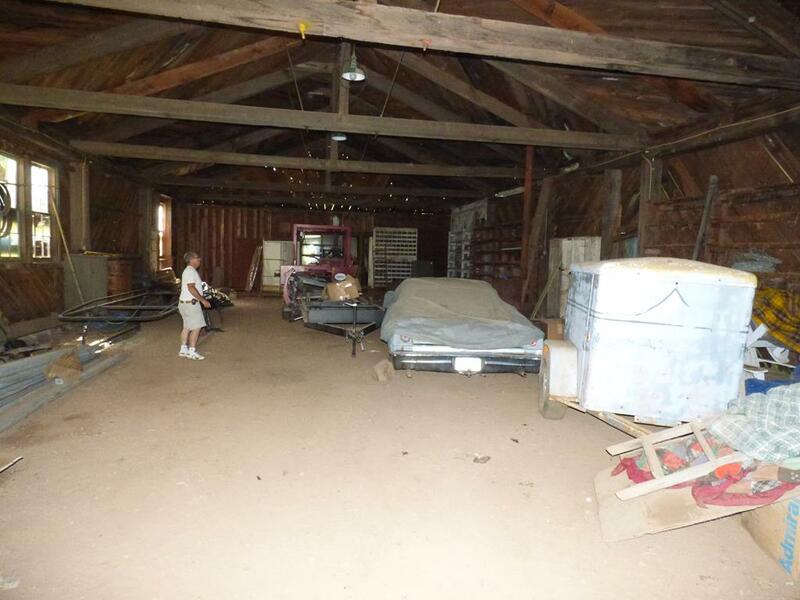 There are a few additional Misc buildings in various conditions that add little or no value. Water: The Cove Ranch has a water right from Hall creek that is delivered to fields in a 5 inch pipe and run sprinklers to irrigate about 45 acres as per owner. In addition it has the four main springs that irrigate and supply water to house and yards. Comments: This is a unique property in dense forested area. Nothing has been done on the ranch for years, in regards to irrigating meadows, cutting timber etc. It is very well watered and has lots of timber. The timber has not been cruised in a long time and value of timber is unknown at this time. There are lots of deer, quail, wild turkey, bear, and other critters on the ranch. Also the opportunity to make a large spring fed pond for fishing and other recreation could be done on this property. An excellent place for a family retreat, and or vacation spot exists here. SOLD! SEE WEB SITE FOR MORE PROPERTIES!